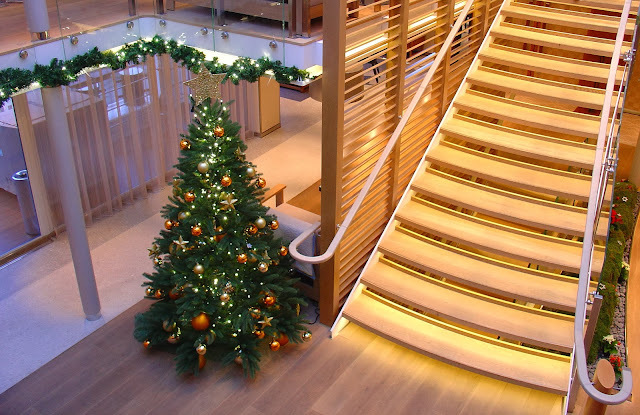 Welcome aboard the Viking River Cruises Longship, Viking Skadi, our home upon the Danube for our Christmas market voyage. All photography is the property of EuroTravelogue™ unless noted. Unauthorized use is prohibited. Welcome to a Viking Christmas! I can't think of a better way to kick off the holiday season than with a visit to the enchanting European Christmas markets, and to have Viking River Cruises transport us from one city to the next was the star at the top of our Christmas tree; for this was a week of making dreams come true—not only to finally visit the Christkindlmarkts as they're known locally, but to do it while sailing onboard a Viking River Cruises longship for a weeklong cruise down the Danube. 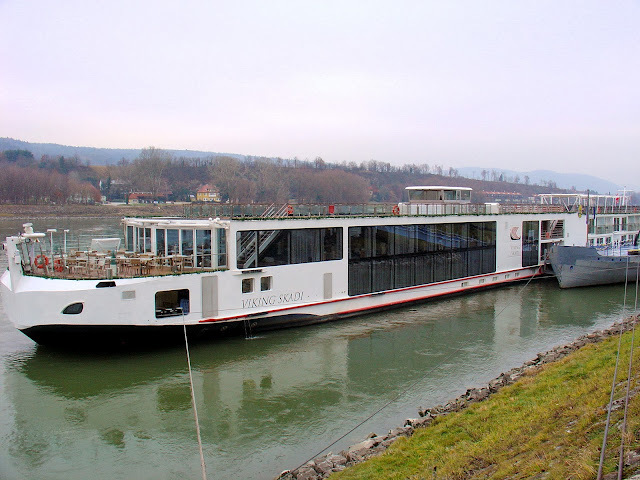 Viking River Cruises' Viking Skadi - our home for the week as cruise the Danube Waltz. Our home upon the rivers for this magical Christmastime voyage was the Viking Skadi, the Norse Goddess of Winter, who transported us upon the waters of the Danube and protected us from the cold winter's night. 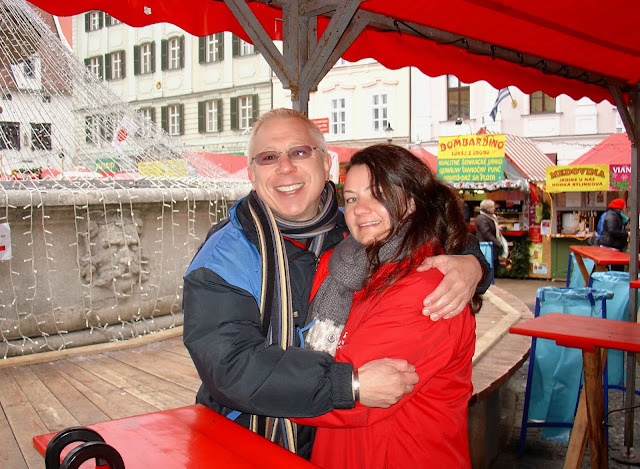 We began our "Danube Waltz" in Passau, Germany and then sailed through Austria stopping in Linz, Salzburg, Melk, Dürnstein and Vienna. 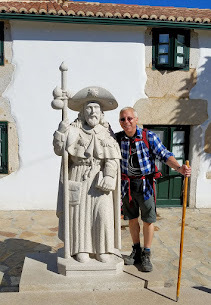 After experiencing hills that come alive with the sound of music, we sailed onward to Eastern Europe with stops in Bratislava, Slovakia; and finally to Budapest, Hungary. Please join me on this unforgettable voyage that will live on forever in cherished memories of the places we saw, scrumptious new tastes, cultural enrichment, spiritual enlightenment, a journey back through time, and above all, the wonderful people we met along the way! This is my story of savoring the journey as well as destination! After all, isn't that what a Viking river cruise experience is all about?! 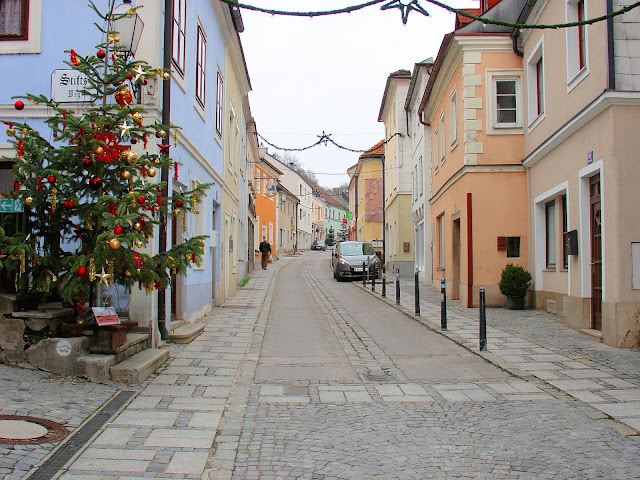 While this first article in my Viking Christmas series will highlight the Christmas markets we visited, I promise future articles about each of our stops along Europe's legendary Danube! Matthew and I sharing our first cup of steaming glühwein at the Passau Christmas market in Germany. As I mentioned above, we began our Christmastime voyage in Passau, Germany, home to Germany's oldest gingerbread recipe, Lebkuchen, which is only baked at Christmastime. More about that delicious gingerbread soon. 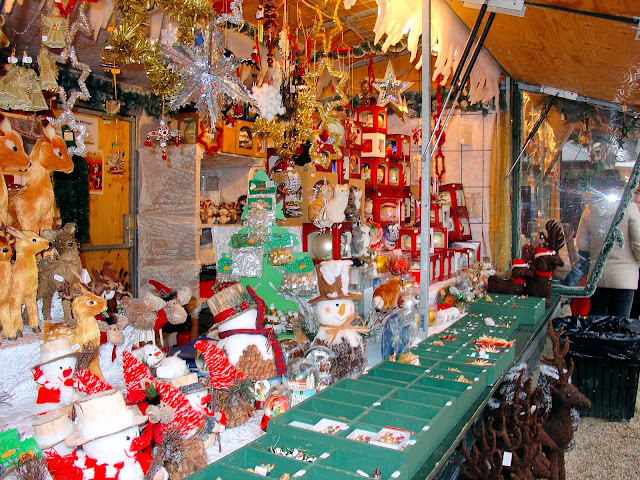 Among the 70 or so colorful Alpine chalets elaborately decorated with twinkling lights and brimming with handcrafted gifts and sweet indulgences, my first bratwurst and glühwein beckoned as I wandered around the stalls. Surrendering finally to my cold hands and growling stomach, I indulged in my first cup of glühwein and tasted a sizzling bratwurst—Christmas market staples you know. And they lived up to every expectation and exceeded them! Just one of the many vibrant market chalets brimming with holiday gifts. 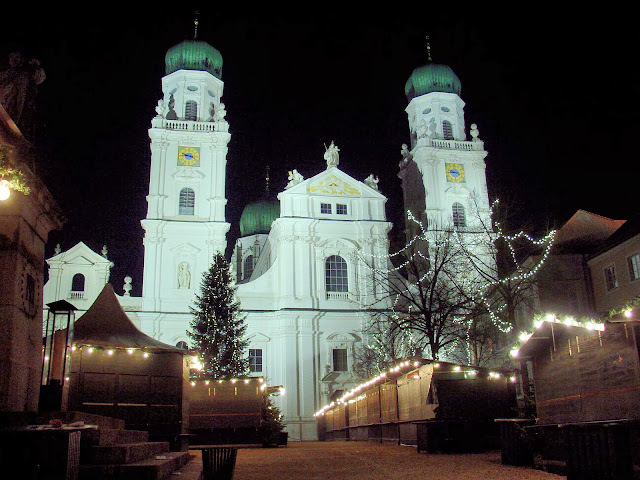 St. Stephan's in Passau long after the Christmas market has closed. St. Stephan's in Passau, Germany. 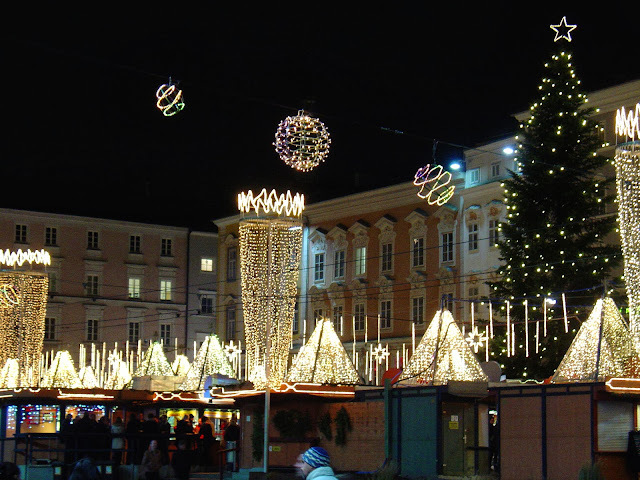 The Passau Christmas market is located just outside the Gothic and Baroque architecture of Saint Stephan's cathedral most of which dates back to 1688. Inside, you'll discover the largest cathedral organ in the world with 17,974 pipes and 233 registers or stops. 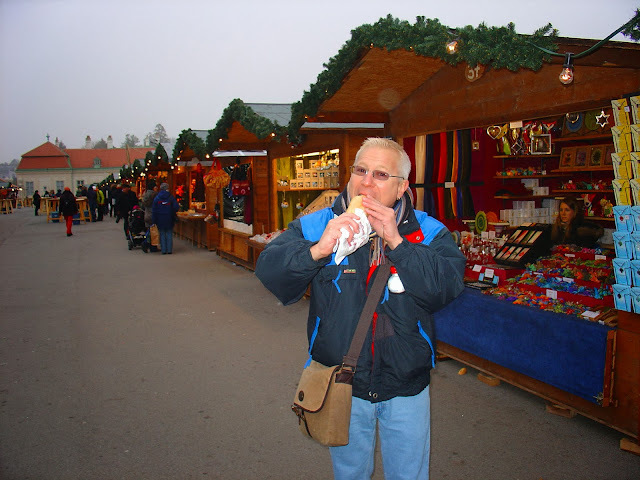 Of all the markets I visited during my Viking Christmas cruise, this one was my favorite not only because it was my first taste of Christmas in Europe but because of its intimacy. The Salzburg Cathedral is where the Christkindlmarkt awaits. 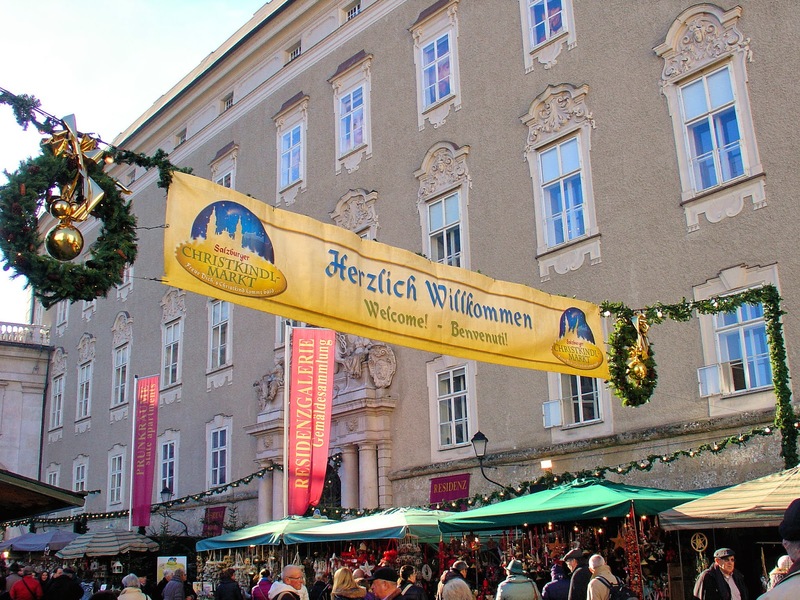 Welcome to Salzburg Christmas Market. After Passau, our Viking Skadi sailed onward to Linz, Austria. 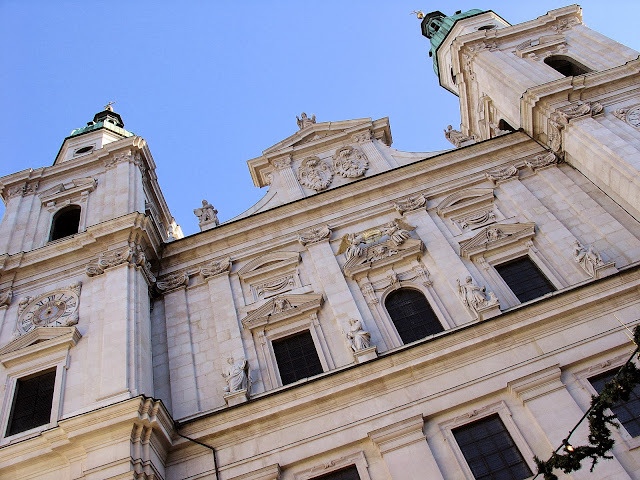 Our day would start with an all-day excursion to Salzburg where we embarked on a walking tour through the city, saw many locations where the timeless classic "The Sound Of Music" was filmed, had lunch in Europe's oldest restaurant—St. Peter Skiftskeller, walked by Mozart's birthplace, and wandered through the Salzburg Christkindlmarkt—another dazzling array of chalets and myriad gifts not to mention those tantalizing aromas of sizzling bratwursts and spicy glühwein. The market is located in front of the Domplatz or Salzburg Cathedral and was one of the more colorful markets that we saw with many of the chalets offering vibrant holiday decorations. Once your here, gaze up for a moment as you stroll through the market and behold the Hohensalzburg Castle looming over this historic centre—truly an unbelievable sight. Tip: Seek out the Mozartkugelin or Mozart Balls made only by Fürst—round chocolate indulgences filled with pistachio marzipan, and quite literally, taste out of this world! Some of the wonderfully vibrant Christmas gifts at the Salzburg market. Chalet after chalet brimming with Christmas gifts. 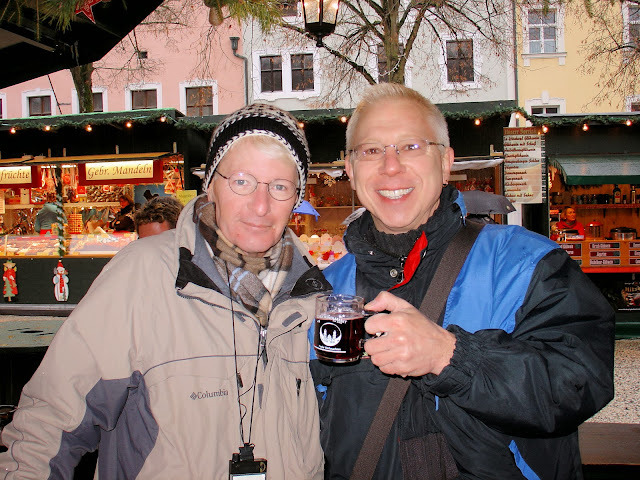 Upon our return to the Viking Skadi that night, we set out the Linz Christmas market as well. 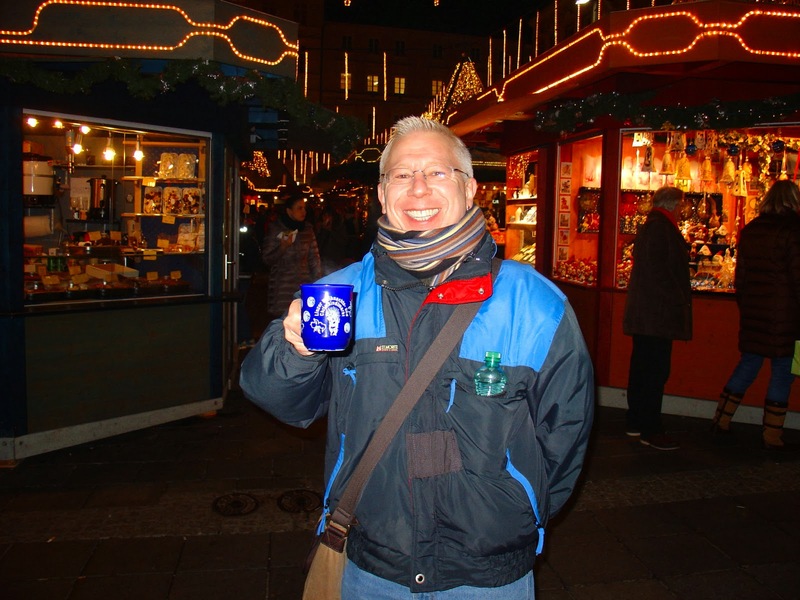 Unfortunately it was getting late and half of the market was closed so we didn't have an opportunity to really enjoy it but all was not lost, still managed to have a cup of glühwein! The Linz Christmas Market sparkles on a cold December eve in Austria. Another glass of glühwein? But of course! I had to have a cup at each of the markets we visited. 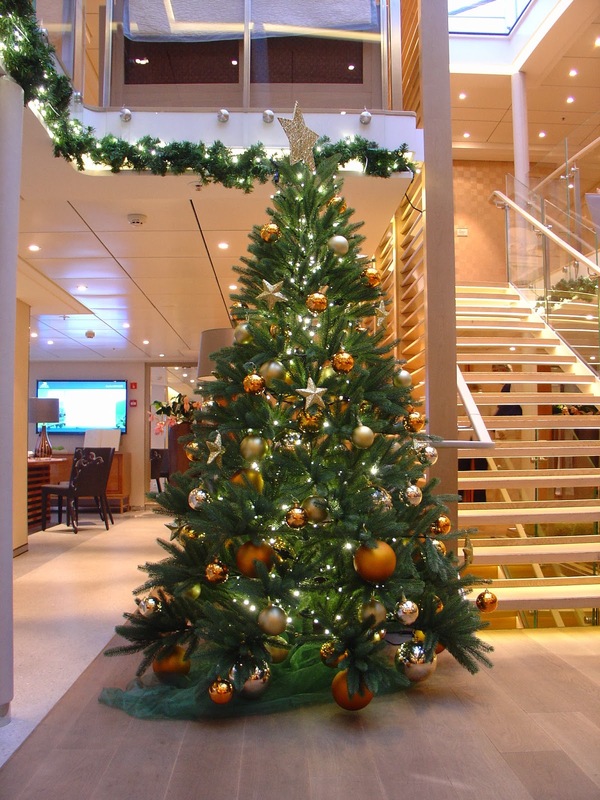 So far, we're up to three Christmas markets and still going strong on this fabulous Viking Christmas market cruise! Christmas trees appeared on all the street corners throughout Melk. Renowned for its abbey which reigns supreme over the village and rivers below, Melk was one of the most charming villages we visited along the Danube and one of my favorites. The highlight of course was the Melk Abbey, a striking example of Baroque architecture in the purest form from its famed marble hall and magnificent library, whose collection totals more than 80,000 medieval manuscripts; to the exquisite golden interiors of the church and striking exteriors as well. While the abbey can trace it roots back more than a thousand years as the residence of the Babenberg family, it became a monastery in 1089 when Leopold I gave one of his castles to the monks. However, most of what we see today was built between 1702-1736. Awe-struck doesn't begin to describe how I felt when touring through this palatial sprawling complex perched upon the hill above Melk—truly amazing! 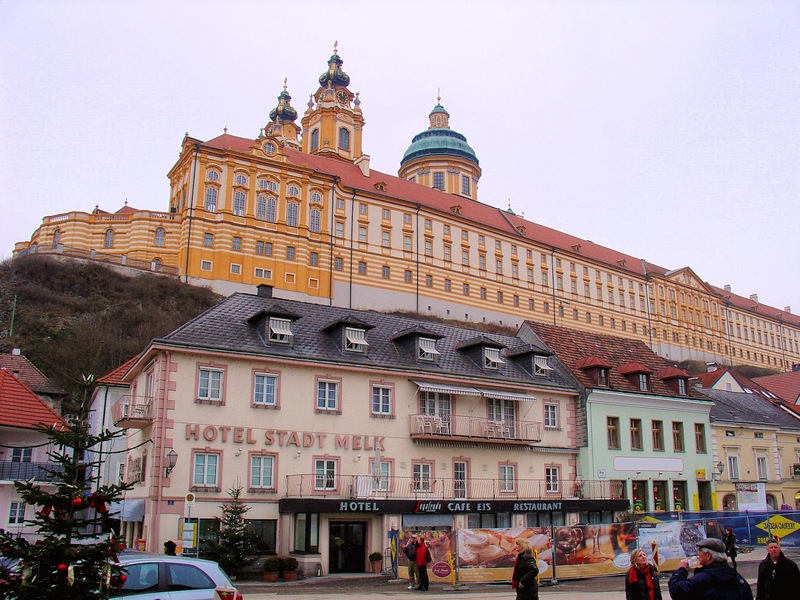 While photographing through the village of Melk, I turned back to find this jaw-dropping view of the Melk Abbey floating high above the village. As it turned out, Melk was an absolute delight for all of the senses. While we didn't see a Christmas market, the village's streets were dressed in their holiday finest with street vendors proffering sweet confections of joy that sent my taste buds reeling especially that apricot torte! Me and my Melk Christmas tree. The Vienna Weihnachtsmarkt at Stephansplatz or St. Stephen's Christmas Market. Photo: Weihnactsmarket-stephansplatz.at. Unauthorized use is prohibited. Once the center of the Holy Roman Empire and the seat of the Habsburgs who ruled the Austro-Hungarian Empire for more than 300 years, Vienna was everything I expected and more. Now if I only had a week to experience it properly. ; ) With that, we embarked on our morning walking tour through the city and visited not one but two Christmas markets in the city that day. Our first was in Stephansplatz or the square just outside St. Stephen's Cathedral, a Gothic masterpiece with Romanesque origins that date back to 1240. After the market, we enjoyed a quick café break at none other than the Café Central brimming with sweet indulgences. 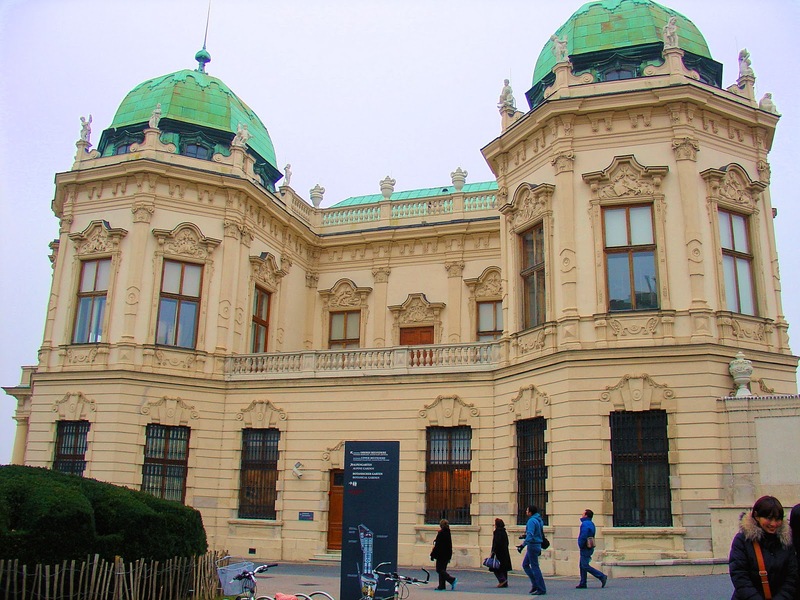 The Belvedere Palace in Vienna is home to Gustav Klimt's "The Kiss." Later, we set out to the Belvedere Palace for a tour and to see Gustav Klimt's "The Kiss." Much to our surprise and delight, we discovered that they had their own Christmas market located just outside the palace. After our visit inside, more on that later, we set our sights upon what was to become my second favorite market due to its intimacy and smaller crowds, not to mention my scrumptious bratwursts and yet another steaming cup of glühwein! 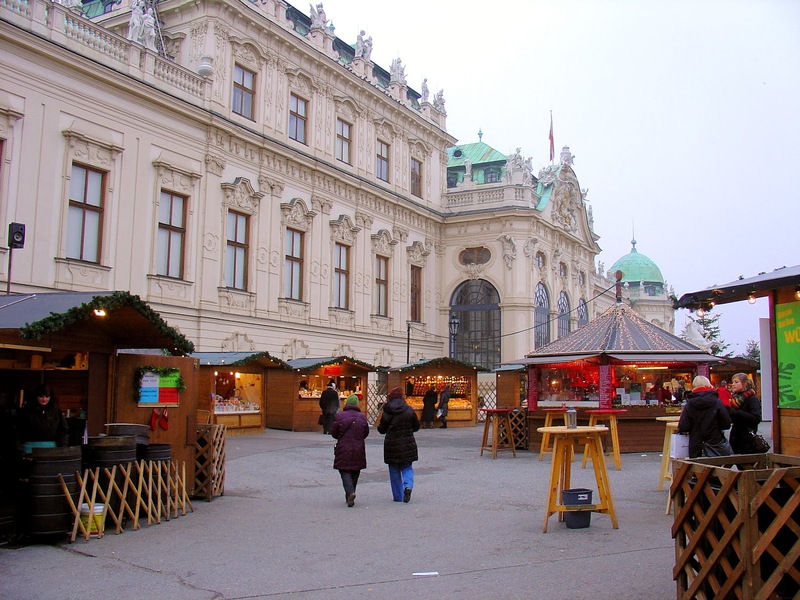 The Belvedere Palace and neighboring Christmas market in Vienna, Austria. After an amazing tour through the galleries and seeing Klimt, I needed nourishment of another kind. Indulging in a bratwurst outside the Belvedere Palace in Vienna. 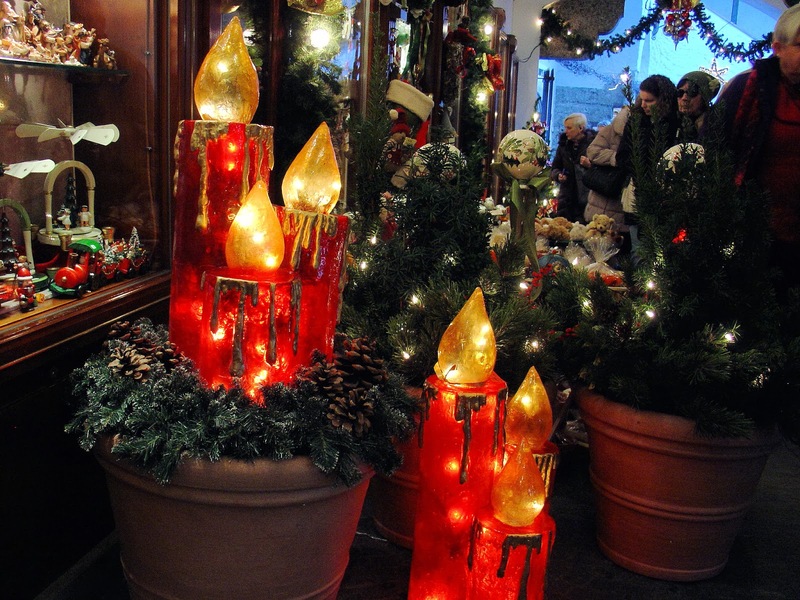 Christmas Tradition "Did you know"
Did you know that there's an Austrian Christmas tradition known as the Creche Journey? Families hop onboard their horse and buggies and travel from house to house to visit with other families to see their elaborate Nativity displays—a popular tradition throughout Europe actually. Through the ages, families purchase and collect pieces of the Nativity scenes and then pass them down to the younger generations. Do you have a family creche? 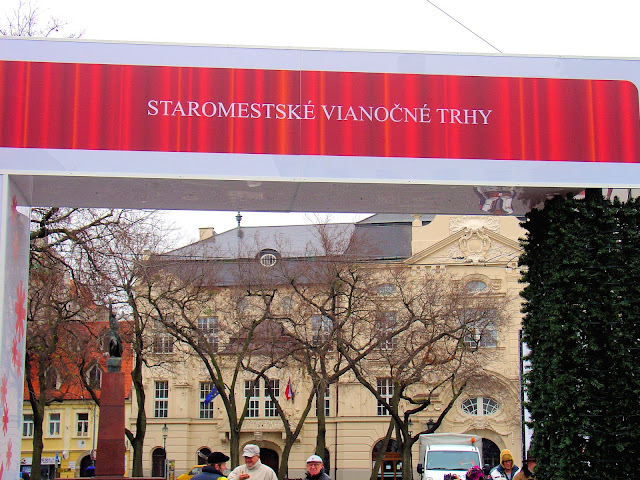 The Bratislava Christmas market in the Old Town Hall Square or Stará radnica. One of my favorite stops along this Viking Christmas journey was at Slovakia's capital city of Bratislava. Quaint cobble-stoned lanes wind their way through the old town of this eastern-European nation—so picturesque in its 18th-century late-Baroque or Rococo architecture. We set out on our own explore the capital with our first stop at the Staromestské vianočné trhy or Old Town Christmas Market on Hviezdoslavovo Square with its chalets, a merry go round and even an ice-skating rink. Staromestské vianočné trhy or Old Town Christmas Market in Bratislava, Slovakia. Two blocks further into the city center and in the heart of the Hlavné námestie or Main Square was yet another market flanked by the Roland or Maximilian Fountain at one end and the Stará radnica or Old Town Hall at the other. 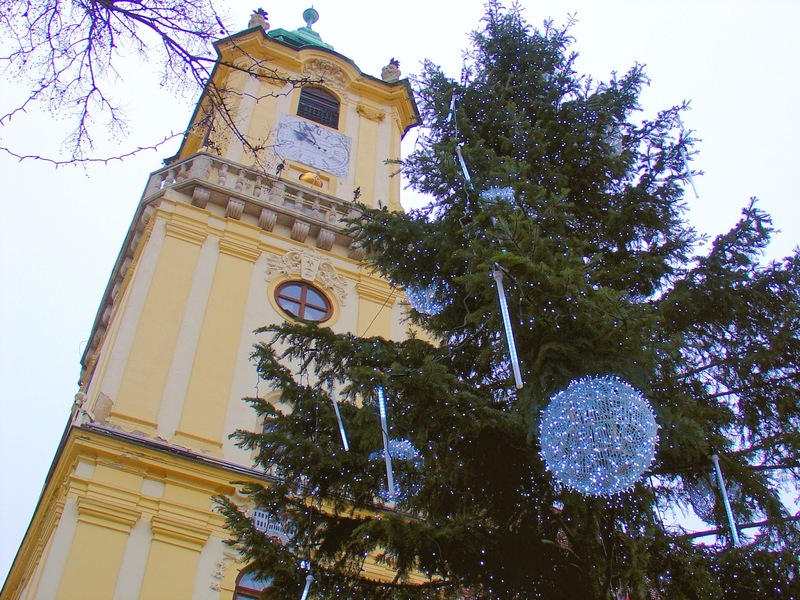 You know, as we moved eastward on our voyage down the Danube, I found that the Christmas markets shifted from a pleasing mix of both traditional Christmas gifts and food to more of a concentration of scrumptious food, and Bratislava was no exception. Plus it was easy on the wallet compared to the other markets we visited. While meandering through, we stumbled upon a vendor selling potato pancakes and of course we had to indulge in the eastern-European treat. Boy, were they delicious and we even shared one with Verona, our exceptional Viking Skadi concierge! Me and Verona, our Viking River Cruises concierge onboard the Viking Skadi. After our delicious snack, we stopped in Maximilian Café located on the square for a most delicious cup of real hot chocolate, another first for me—talk about chocolate indulgences. I highly recommend you taking a break in this cozy café the next time you visit Bratislava! How's that for a cup of hot chocolate? Only at Maximilian in Bratislava! If my math does not fail me, I believe we are up to seven markets on our journey. After sailing into the city of gold the night before, we embarked on a morning tour of Budapest's iconic landmarks including the unmistakable Parliament Building overlooking the Danube, the imposing Buda Castle on the opposite side of the Danube, and the nearby Fisherman's Bastion with commanding views of Pest. Also atop Castle Hill was the magnificent Matthias Church. More on all of these places in future articles. After our group tour, we returned to Pest to visit the Museum of Fine Arts adjacent to Heroes' Square to see a special Caravaggio Exhibition. To get there, we had to travel in Europe's second-oldest subway line after London. Talk about a journey back in time. On our way back to the Viking Skadi, we visited the Christmas market outside Saint Stephen's Basilica and were surprised and delighted to find ourselves having arrived just in time for a spectacular and dazzling visual display of choreographed holographic images projected onto the façade of the basilica. Like all good things that must come to an end, so too did our Viking Christmas market river cruise on the Danube—an unforgettable journey aboard our intrepid Viking Skadi. And we saw it all too—from cozy Christmas markets and storybook villages to iconic landmarks and vibrant urban centers; this voyage of dreams transported me literally and spiritually. 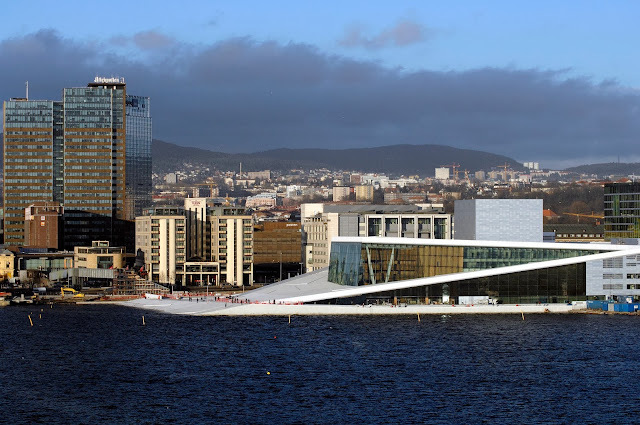 To tell you the truth, I can't think of a more perfect way to experience Europe at Christmas or any other time of the year—to visit each one of these destinations all from the convenience of your Viking longship. Unpack only once and away you go. Plus, all of your meals with beer and wine are included not to mention a guided tour at every stop. And, Viking includes some of the optional excursions as well! Viking sure thinks of everything. 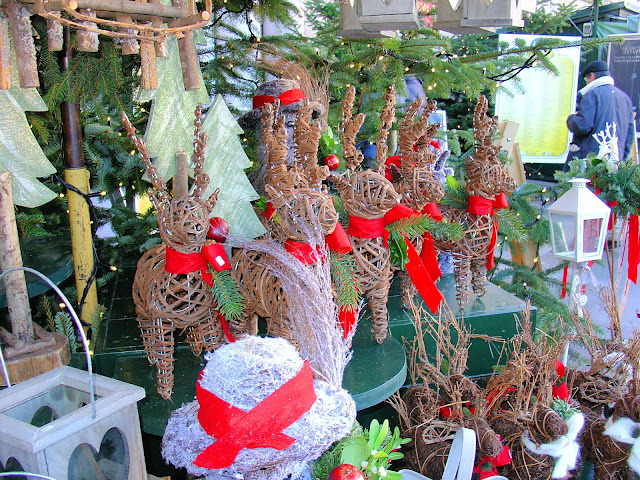 Christmas display outside one of the shops in Salzburg, Austria. So, how many markets did we end up visiting on our journey? Were you keeping track? As we moved from city to city, we visited eight enchanting Christkindlmarkts and created ever-lasting memories of my first Christmas in Europe with Viking. 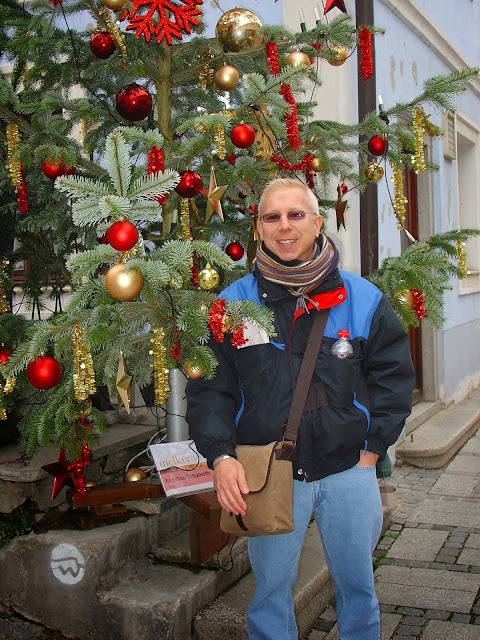 My heartfelt thanks to Viking River Cruises for inviting me on this Christmastime journey through Europe. Of course all opinions and thoughts reflected are mine and mine alone. Thank you Viking for a magical Christmas holiday! A very Merry Viking Christmas to all! Christmas tree in the Viking Skadi lobby. What a wonderful way to start off the Christmas holidays! This is my dream trip and I hope to do it some day but it was lovely to follow along on yours in the meantime. Have a very Merry Christmas, Jeff and a wonderful New Year's!! I couldn't agree with you more! What a way to start the holiday season. If I could, I would do it every year on a different river. It was truly an amazing and positively enchanting journey with Viking! Thank you so much for all of your kind words! I wish you and yours a very Merry Christmas too!! Wow; what an excellent article. I learned a lot about Christmas markets, and also about Viking Cruises. I need to get a brochure. Thnaks for the beautiful photos too! Hi there my Anonymous friend! It's comments like this that send me soaring to the upper stratosphere! I am so glad that you enjoyed the article and learned something new as well--that's ongoing mission with me--to always educate while writing about my experiences. Hope you have the opportunity to embark on Christmas market voyage soon and with Viking too! Sounds like one phenomenal experience and though I'm not normally a cruise type of person this one sounds so different. Plus a winter cruise itself is unique. 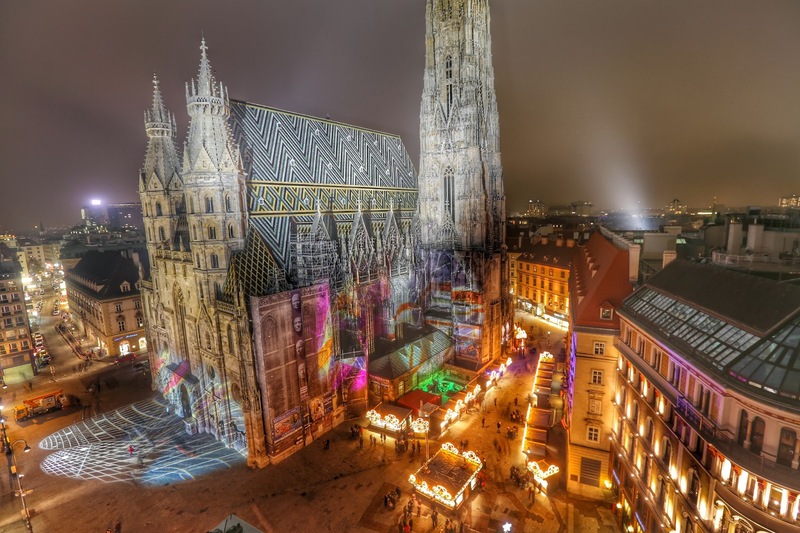 What a superb way to see the Christmas markets - something I'd like to do one day. Plus all that Gluwhein (sp?) sounds delicious. Hi there Leigh!! This voyage was everything I dreamed it would be. It's a wonderful way to tour Europe's Christmas Markets without the hassles of packing and unpacking over and over and over again. 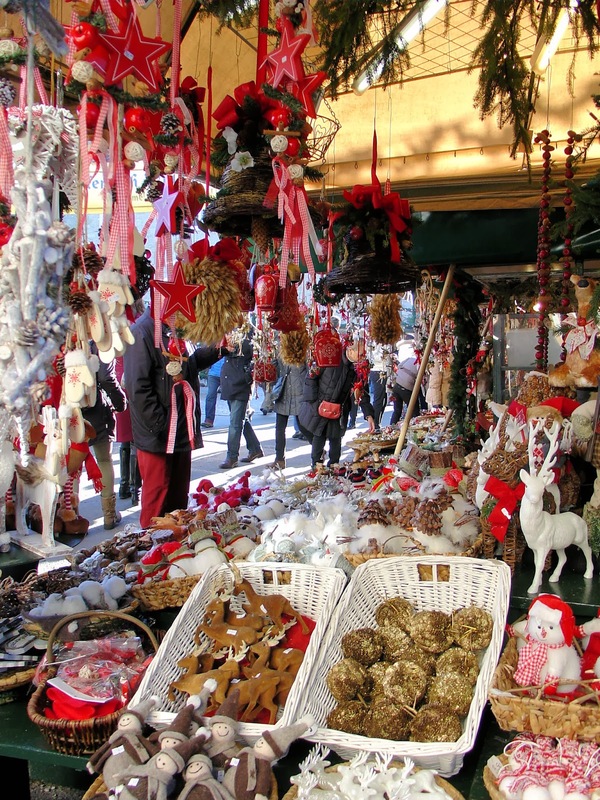 You should absolutely embark on a Christmas Market voyage someday for you will not regret it! Plus, there's plenty of glühwein to keep you warm. ; ) Thank you so much for stopping by and sharing your thoughts! Lucky you! What a wonderful experience, Jeff. Visiting Christmas markets has been high on my list as well as a Danube river cruise. This is the best of both worlds and I'm so jealous but happy for you :) Love seeing the variety of Christmas markets here. Beautiful and inspiring photos! Hi there Mary. I always love to read your comments! IF there is anything I can do to help you plan a cruise like this for next year, please let me know. I'll make sure you speak to the right folks. It truly is the best of both worlds! Thank you for your kind words and compliments! HI there Maryls! I can't tell you how much of a fantastic time Matthew and I had on this voyage!! We LOVED every minute of it and would love to do it each year on a different river. Thanks so much for stopping by and sharing your thoughts. And thanks for the compliments as well. What a wonderful article; I truly enjoyed it. Now, to get the hot chocolate recipe? Greeting to you my Anonymous friend and thank you so much for stopping by. 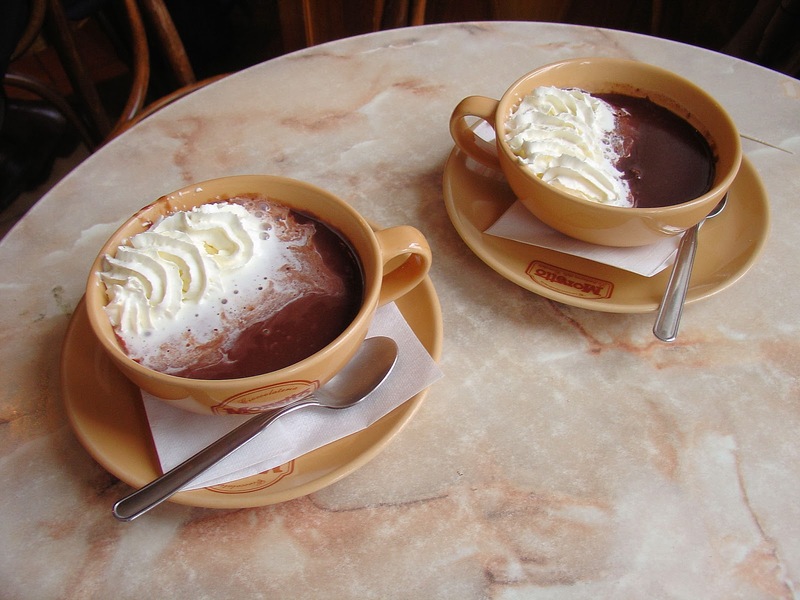 Ah..if only we had that secret recipe for that smooth and creamy and downright delicious hot chocolate. I think we need to both get to Bratislava as soon as possible and have a few or many more cups! Thank you for your kind words as well. What a great travelogue! This article has now convinced me that I need to take a river cruise. 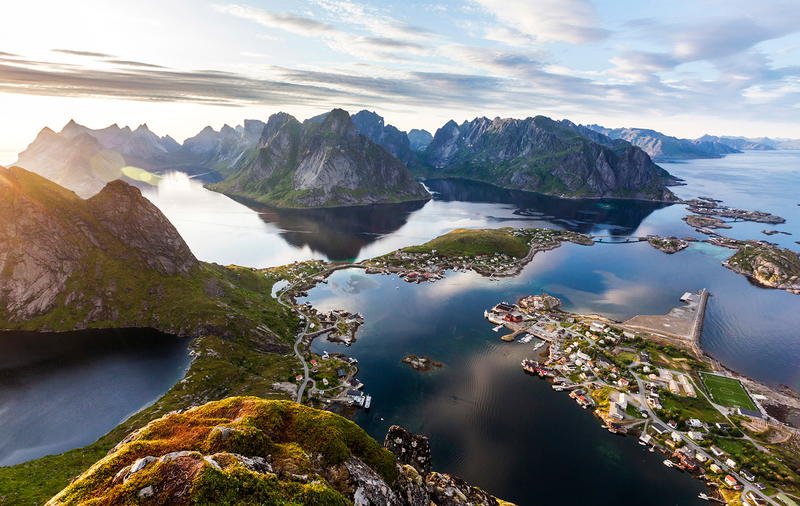 Have you taken any other cruises in Europe? Hi William and thank you so much for stopping by! I have taken a few other cruises in France and in the Netherlands. If you click on the "European River Cruises" category in the right margin, you can read all about the other cruises as well. Germany is next on my list for sure! Thanks again and glad to hear you're planning a cruise too! You won't regret it!! I promise!